Utilizing the ancient lore of Native Americans, Tom Brown passes on a timeless tradition that connects humankind to Earth. This unique volume teaches us the basics of sight, smell, and taste; it shows us how to become one with nature, and how to receive all the signs and signals of the multitude of living creatures with whom we share the beauty and bounty of the wilderness. TOM BROWN'S FIELD GUIDES: America's most popular nature reference books, Tom Brown's bestselling field guides are specially designed for both beginners and experienced explorers. Fully illustrated and comprehensive, each volume includes practical information, time-tested nature skills, and exciting new ways to rediscover the earth around us. 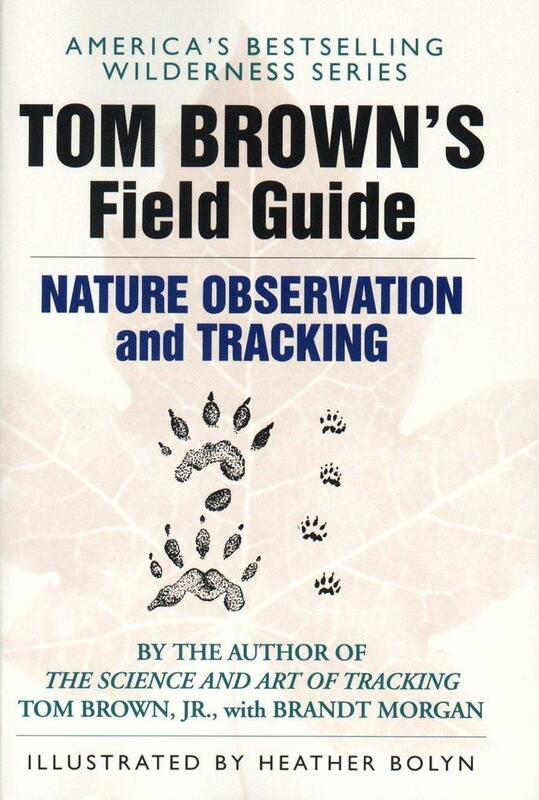 Tom Brown, Jr. began to learn hunting and tracking at the age of eight under the tutelage of an Apache elder, medicine man, and scout in Toms River, New Jersey, and is the author of 16 books on nature. He was the technical advisor on The Hunted, a major motion picture starring Tommy Lee Jones and Benecio Del Toro. In 1978, Tom founded the Tracker School in the New Jersey Pine Barrens where he offers more than 25 classes about wilderness survival and environmental protection.